Right now I am currently listening to Katy Perry's 'Part of Me' song, I do love girl power! I think she looks fabulous on the new cover of Interview magazine, she looks slightly over airbrushed though... I wish I had my own personal airbrusher who followed me around! You should definitely listen to this song if you're having boy troubles. Anyway, I hope you are all having a good week. 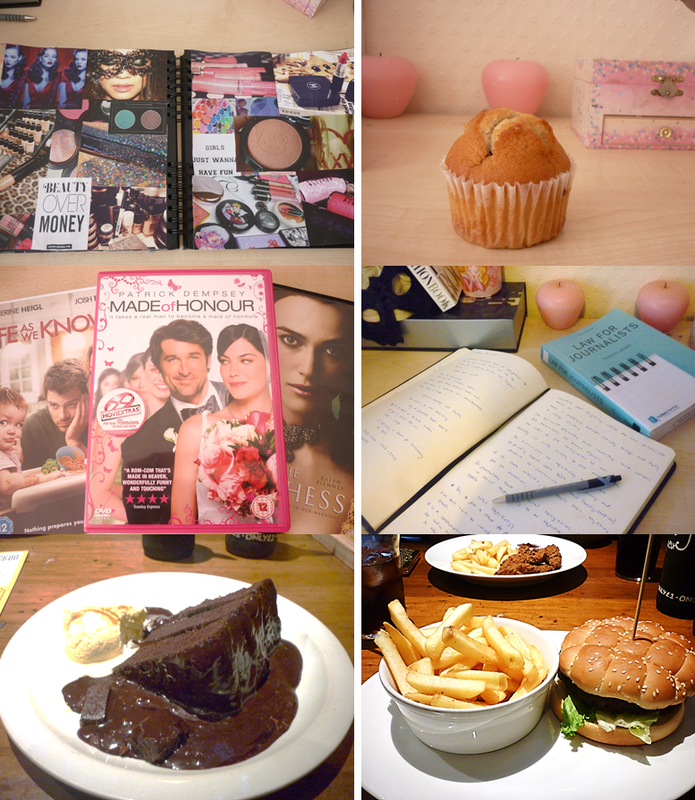 As usual, last week for me involved food, chick flicks and uni work. I really could do with that chocolate fudge cake again ;) I've just had my law lecture today and at 4 I have to go to the seminar - don't worry I've already bought food for it ;) muhaha. I'm sorry I've been slacking in my blog posts lately, I'm already preparing new posts for this week though so wooo. Also, I actually can't remember the last time I watched a Vampire Diaries episode! What is wrong with me?! Oddly though, my dad has started watching season 1. Be afraid, be very afraid haha. I got an offer for Writing Fashion & Culture but decided to do Journalism at Cardiff instead...wish I'd gone to Solent though the course looks so good :( ! It was amazing! I want to eat it now... Oh really?! The law part can be pretty snooze worthy but I'm starting to get more into it. So are you currently in your first year at Cardiff? Yeah I'm in my first year and lots of it is snooze worthy! I'm craving doing some fashion based things. Loved solent on the open day! I love the new katy perry song, its fabulous! Oooh, graduation seems to be coming closer and closer. Excited? 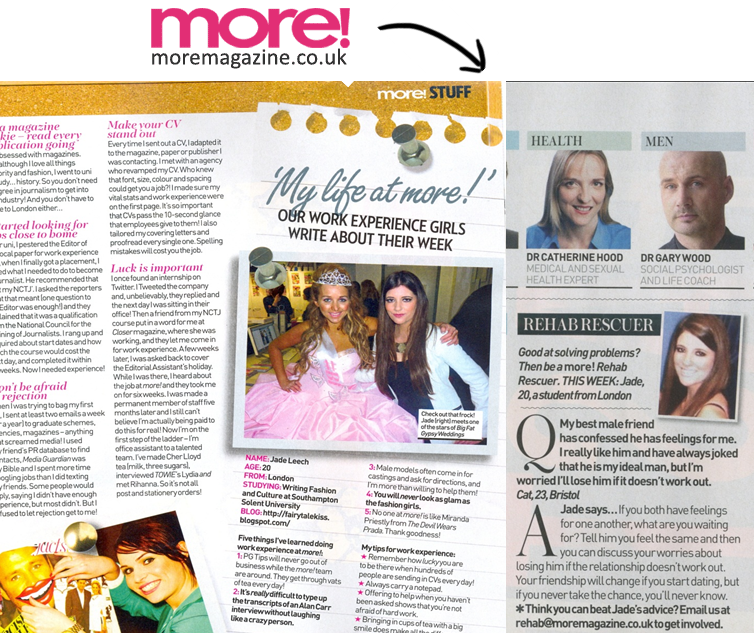 & congratulations on being featured in More! that cake I want I want I want yummie! lovely photos..That cake look so yummy! I want!! You are on the same course as me, I'm in second year! So jealous that you got to go to More! for work experience!